Future GPX Cyber Formula: Road to the Evolution is a racing video game genre released in 2003 by Sunrise Interactive. 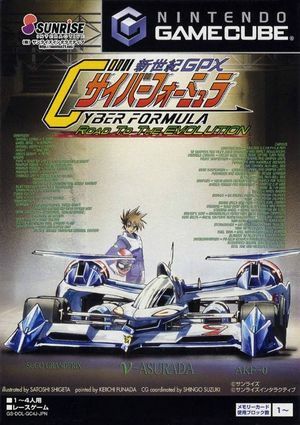 The game is based on the Future GPX Cyber Formula series and was released only in Japan. The graph below charts the compatibility with Future GPX Cyber Formula: Road to the Evolution since Dolphin's 2.0 release, listing revisions only where a compatibility change occurred. This page was last edited on 24 January 2018, at 04:00.